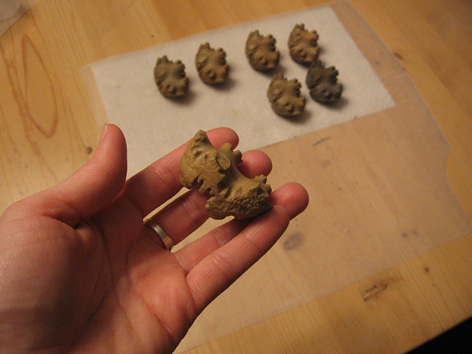 Unlike other replication processes, casting involves making a highly detailed mould of the original artifact. Numerous durable resin casts can then be made from the mould, transferring precise details to these replicas. Casts can be handled numerous times and not wear. 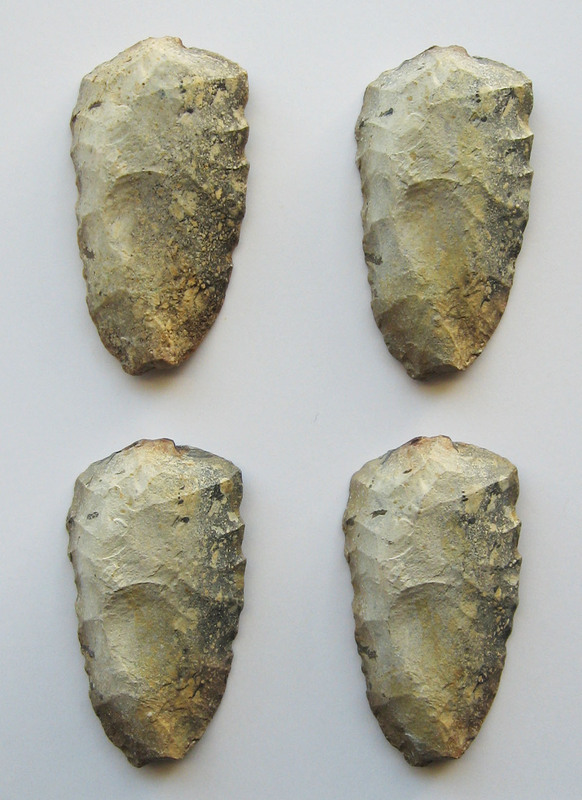 The same colour, weight, and finish can be replicated, resulting in a cast visually identical to the original artifact. Casts have been used in museum displays, school‐based education programs, and public education workshops, as well as items to be presented to First Nations communities, donors and collectors who relinquish original artifacts, and institutions requesting additional studies. 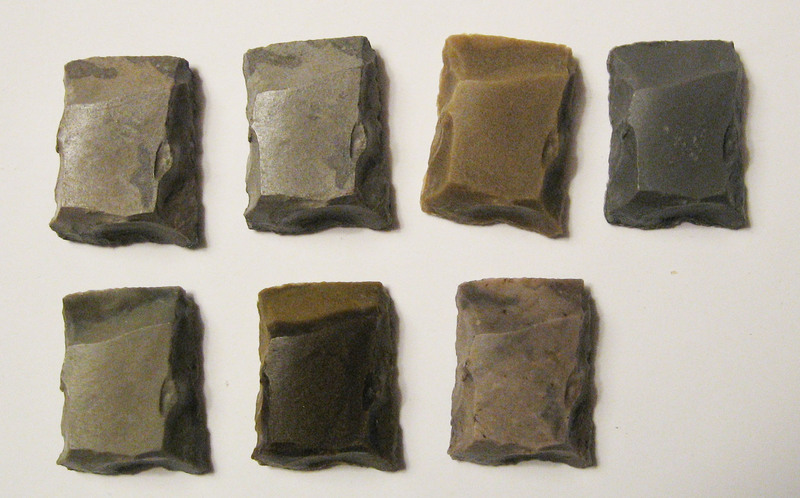 Artifact casting involves making a rubber mould from an original lithic artifact, and then injecting resin into the mould to make numerous casts or replicas of the original. 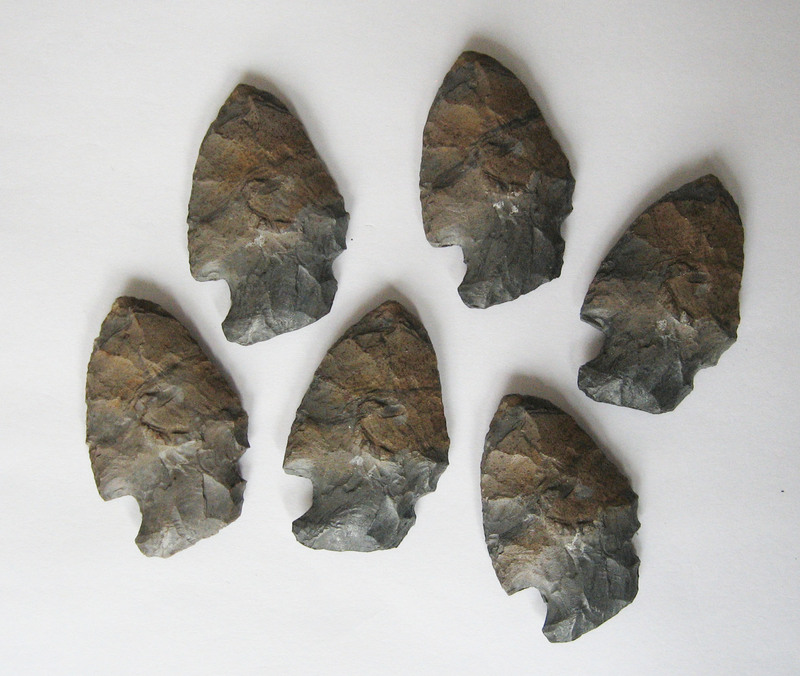 Any original artifact being cast will be subject to mild chemical and dye reactions (any sort of residue analysis should be completed before process begins). 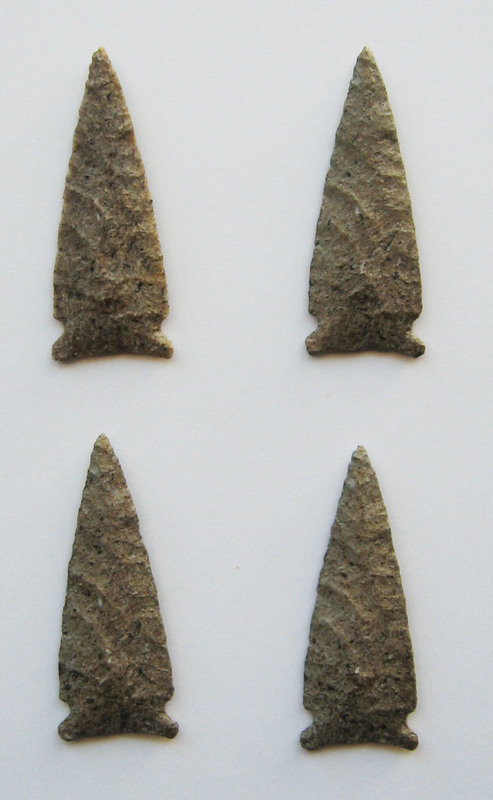 Below are examples of artifact casts. In each plate, the original artifact is also shown. Can you spot the original? The cost of replicating an artifact depends entirely on the size, complexity, and raw material of the original. 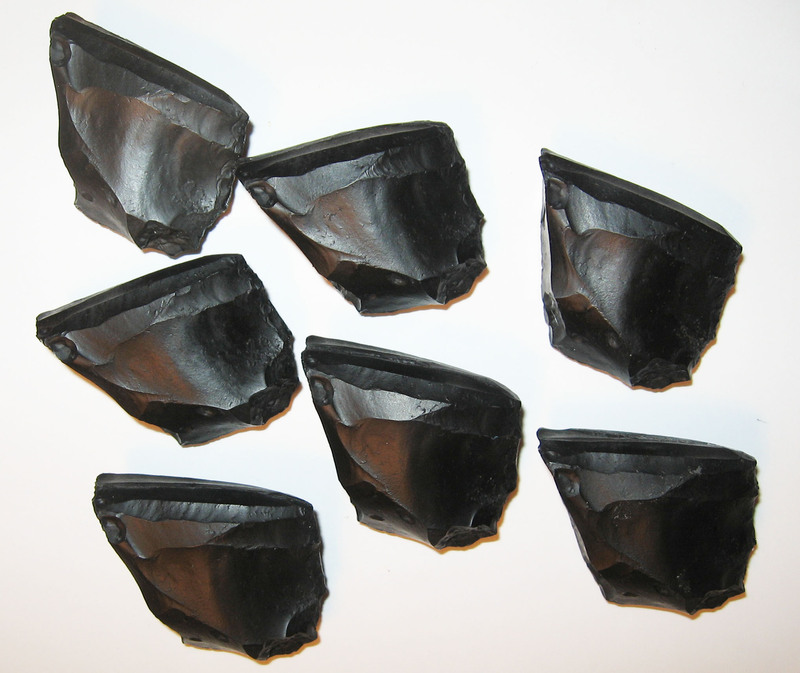 Original artifacts that are large require more rubber for moulds. Original artifacts that are opaque (no light can be seen through artifact) can be cast in a resin, whereas artifacts that are translucent or semi‐transparent (light can be seen through the artifact) should be cast in polyurethane (which may requires use of a vacuum chamber). Below is a cost estimate for a selection of artifact sizes. If you have any questions or would like an exact quote for a specific artifact, please contact me.